PSJ Haulage Ltd is a Tarmac franchise, based in Wiltshire. We are a small aggregate haulage company working in association with one of the UK’s leading suppliers of sustainable building materials. 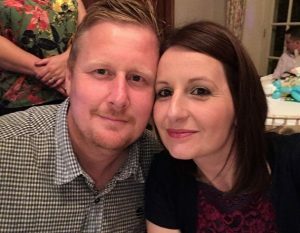 Through the ‘Fleet Operator Recognition Scheme’ or FORS, Paul & Shelley James (Directors) have been able to continue to ensure that the company’s perfect score for road safety incidents along with its transport related fines records, have been maintained for another twelve months. Since our last case study was submitted, we have obviously successfully undertaken further Silver and Bronze audits, and in March 2018 we were incredibly proud to have achieved a Bronze audit score of 99.3%. We are now looking to renew our Gold Accreditation again. FORS allows us to ensure that we, as a company, are continuously meeting all Health & Safety requirements and are able to further develop the company and its drivers by taking advantage of eLearning and classroom based courses available through the scheme. Furthermore, through continued use of its toolkits and published guidance we are able to continue to create safe working practices and procedures for our staff to follow, along with generation of accurate data which allows us to monitor, improve and review essential information. Over the past 12 months, PSJ Haulage Ltd has further expanded its fleet and currently owns three trucks and employs six full-time drivers. In addition, Paul James (Director) now offers relief driving services to other local franchise hauliers who find it difficult to cover driver’s holidays. ‘More and more haulage companies are realising the extensive benefits of joining FORS, this is very reassuring to see’ – Shelley James, Director PSJ Haulage Ltd. Beyond the improvements made last year in preparation for our first Gold audit, PSJ Haulage Ltd have continued to manage, record and review essential fleet data. Paul is currently also working towards his FORS Practitioners qualification and hopes to have completed this by the end of summer of 2019. These workshops are and will be an excellent resource to utilise to ensure our knowledge and understanding will be up-to-date and accurate and will allow us to improve/update current policies or procedures and implement new ones as and when required. ‘The FORS ethos together with the time, effort and work invested by organisations to ensure accreditation is invaluable and should be widely promoted throughout the industry.’ – Shelley James, Director PSJ Haulage Ltd.
As a haulage company, we would like to continue to hold Gold FORS status if possible, we feel the benefits of embracing the scheme have been, and still are, extremely positive for all concerned. We continue to reap the benefits of the numerous policies, logs and sign-off sheets we have created throughout the Bronze, Silver & Gold Awards; the sign off sheets in particular are a practical way of ensure good staff communication and compliance alongside our newly implemented work app. We have most recently registered for the CLOCS Online Collision Manager to ensure compliance in this area also. PSJ Haulage Ltd has been growing quickly over the past few years, therefore our true quantifying figures, especially in regards to fuel consumption and emissions etc. are rather difficult to evaluate accurately at this time. 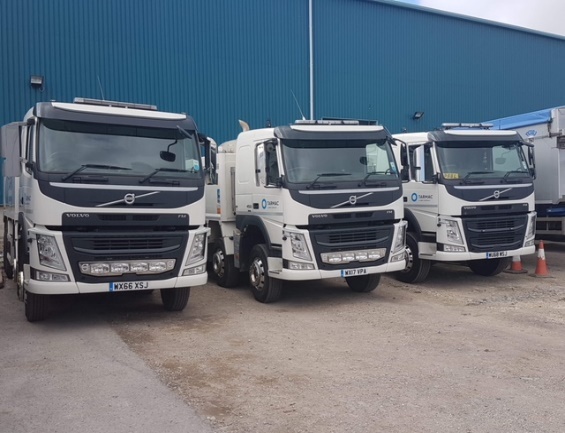 PSJ Haulage Ltd now operate three fuel efficient vehicles which have Euro 6 engines in situ, which achieve lower CO2 emissions and reduced litres of fuel used when compared with less efficient tipper trucks. As a company, we find FORS beneficial in helping us manage our driver’s health & fitness, validity and past infringements. Our procedures/policies remain the same however, we have added in additional provision for keeping track of and special conditions to drive, medicals and reviews of occupational related health conditions. PSJ Haulage Ltd now has a ‘Strategy for recruitment’ in place with the emphasis on encourage new drivers into the industry if possible. 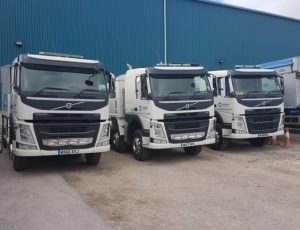 As a franchisee company of Tarmac, PSJ Haulage Ltd may also have the opportunity of recruiting new drivers through their ‘Drivers Academy Scheme’. PSJ Haulage Ltd is now more aware of how to reduce/monitor vehicle noise pollution. All trucks are fitted with white noise reversing alarms and we have a historic policy in place insisting all drivers continually try to reduce noise pollution in a number of ways, including turning off engines when idle and when in traffic for extended periods – which of course also helps to reduce harmful emissions and saves fuel. However, we have also recently started carrying out our own noise assessments to allow us to monitor noise when driving, parking, loading/unloading and washing the vehicles; this gives us quantify data to review and try to improve on with each replacement truck/equipment we purchase in the future. As stated above we are currently contacted to Tarmac to carry out ‘last mile deliveries’ of Tarmac products to their customers, many of whom are road laying and therefore sites change daily. This requires deliveries by road and this is the only service/mode of haulage PSJ Haulage Ltd currently offers. However, Tarmac has major investments in rail rolling stock and marine operations across the Southern region. We aim to replace our trucks regularly to ensure the best efficiency in all areas, noise, fuel type and emissions will be a key factors for us moving forward. We are currently also considering other possible business relationships with neighbouring quarries, and we would of course continue to promote the benefit of the Fleet Operators Recognition Scheme to any new associates. When hauliers such as ourselves join FORS, it not only significantly benefits the company but also associate companies, subcontractors and of course the general public. We have been able to create a strong and effective framework through our commitment to FORS and plan to continue to do this indefinitely. We will continue to record, monitor and review all aspects of our business to ensure we are as ‘green, smart and safe’ as we possibly can be.